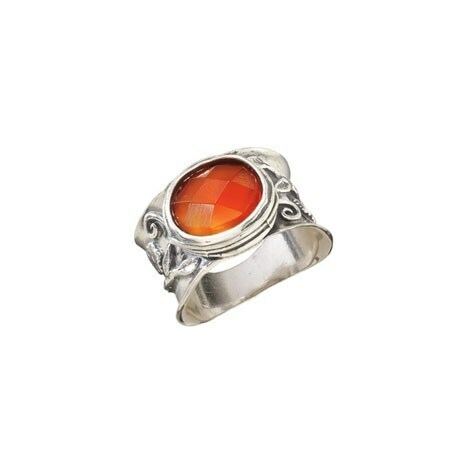 Tsarina Ring features a large bezel set faceted carnelian on a ½" wide sterling band. Whole sizes 6-10. Click here for more ring size information.